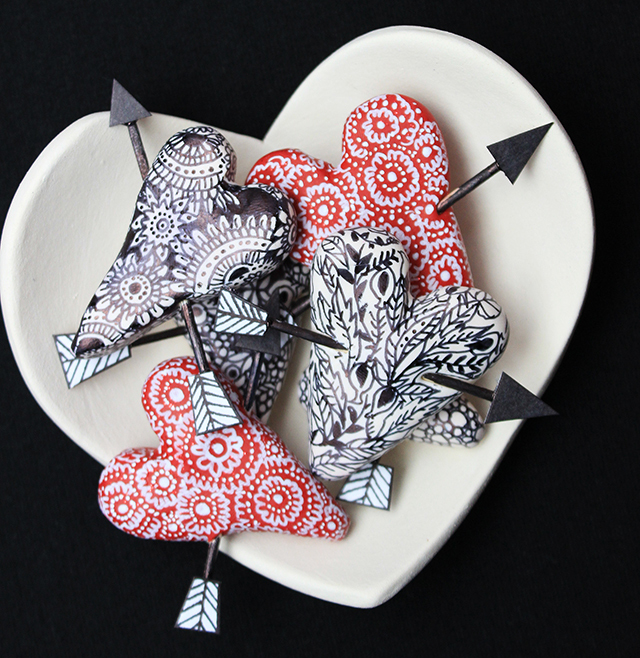 Valentine's Day is fast approaching and this time of year I love finding unique ways to create all things hearts! 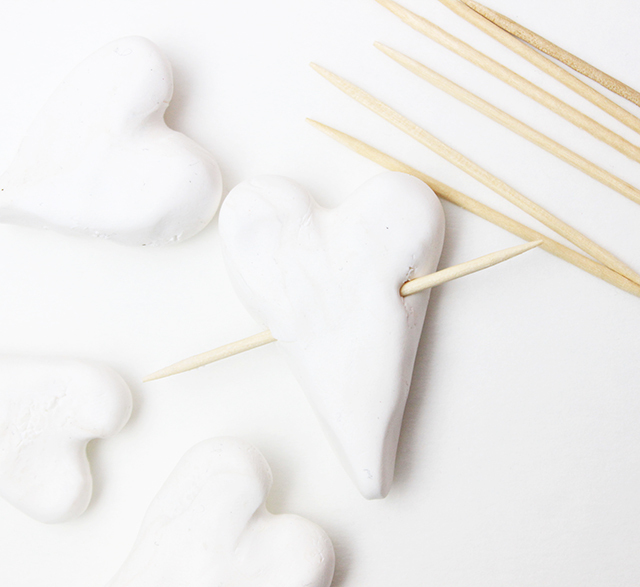 A fun alternative to making paper valentines is actually using oven bake clay. 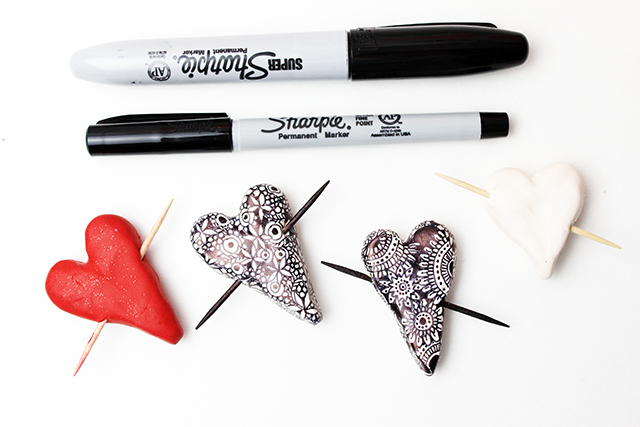 I started by sculpting little hearts out of polymer clay. 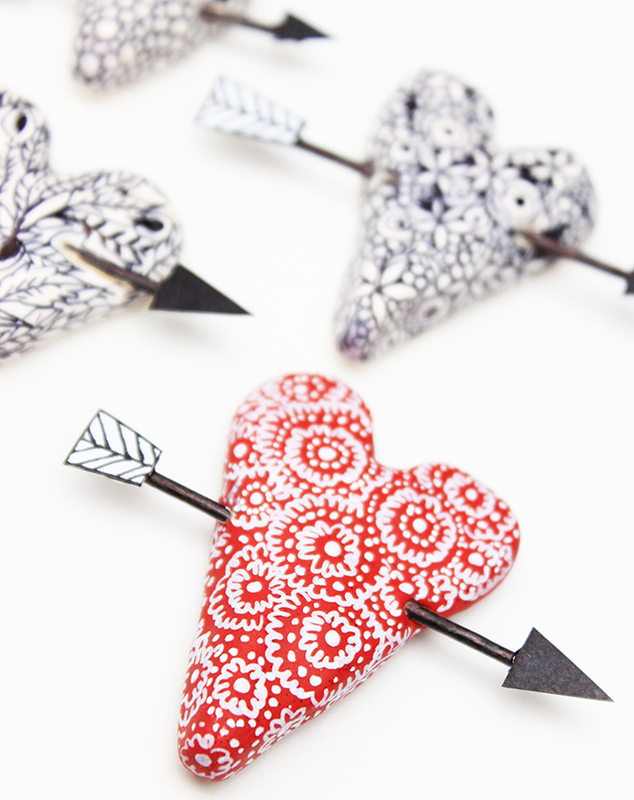 I used tooth picks to create arrows for my hearts so I pushed the tooth pick through each heart. 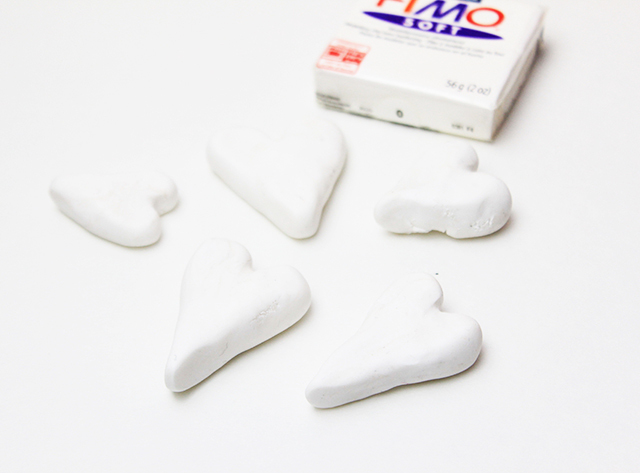 Next, I baked the clay hearts (according to the directions on the package). 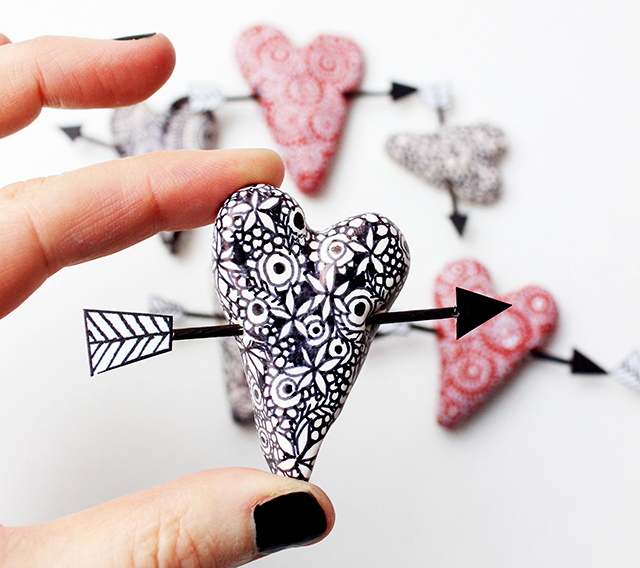 Once the hearts cooled, I use permanent pens to doodle all over them! And last, I transformed those tooth picks into arrows by adding some paper details. There you have it! 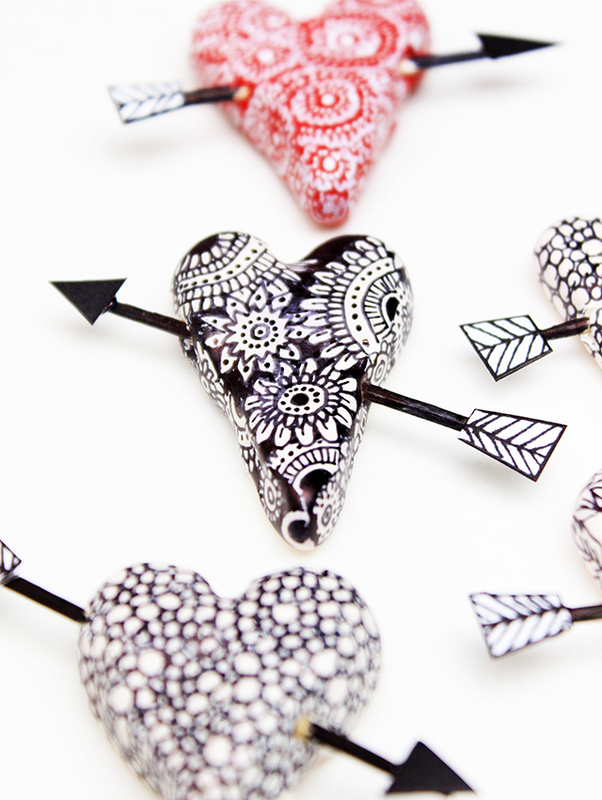 Cute hearts that make a great little Valentine's Day gift! wonderful! think i'll make a couple for my kids - thanks for the great idea! 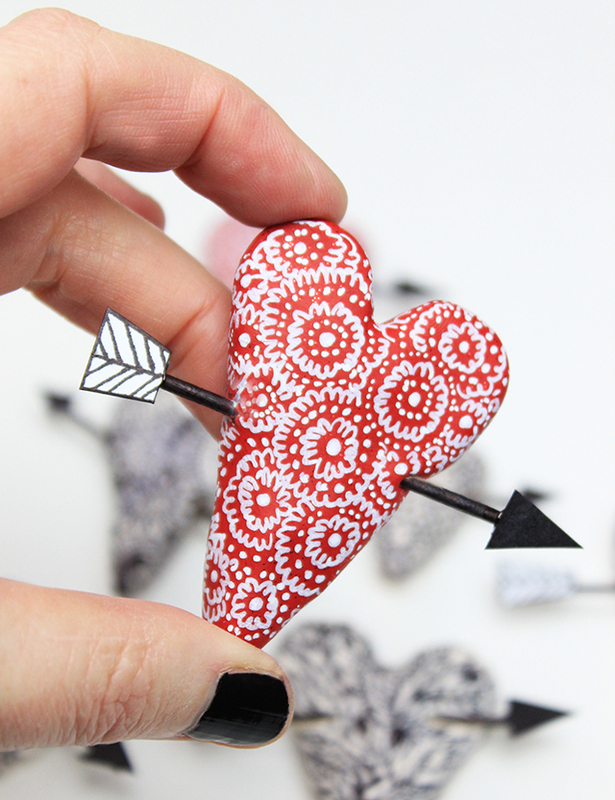 OMG I am loving these :) I have all of the supplies to make some for my loves. Thank you. These are awesome. I double love them thank you. 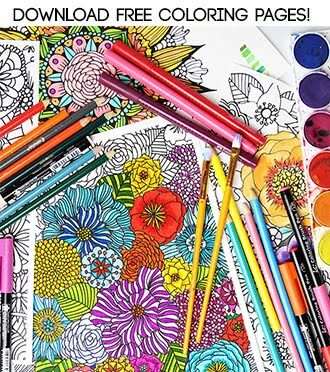 Do you ever use air-dry or paper clay? Do the sharpies work with those types of clay? So loving and cute. Handmade items are always best. Wow, what a nice idea! I Work in a Kindergarten and I think the Kids will make this too! Thanks a Lot for your great and creative ideas! 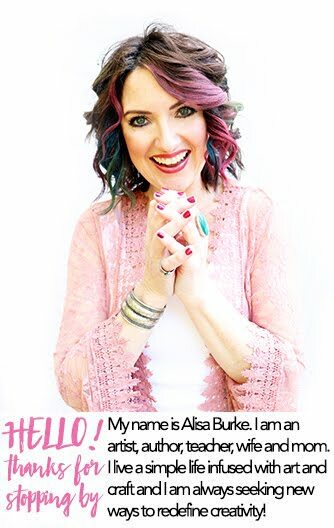 I love your site and how You "educate" your daughter in her creative language! You live in a gorgeous place! I find air dry and paper clays have texture, making it harder to doodle. Maybe gesso first? new pottery in the shop! new class and a GIVEAWAY! 2016 calendar download for you!